It’s December, and there’s a new Star Wars film coming out. So yes, you guessed it, I am back in Los Angeles to share all the press junket details as they happen. As I have shared in the past when it comes to Star Wars events, they are pretty top secret and exclusive. Besides being in LA and who I will be chatting with, the rest will be revealed as it happens live on all my social media platforms. 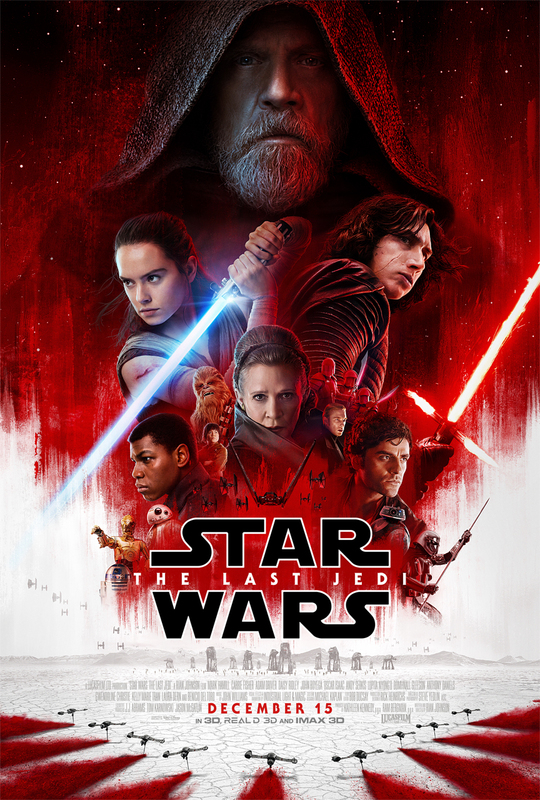 The Star Wars: The Last Jedi Press Event starts today! 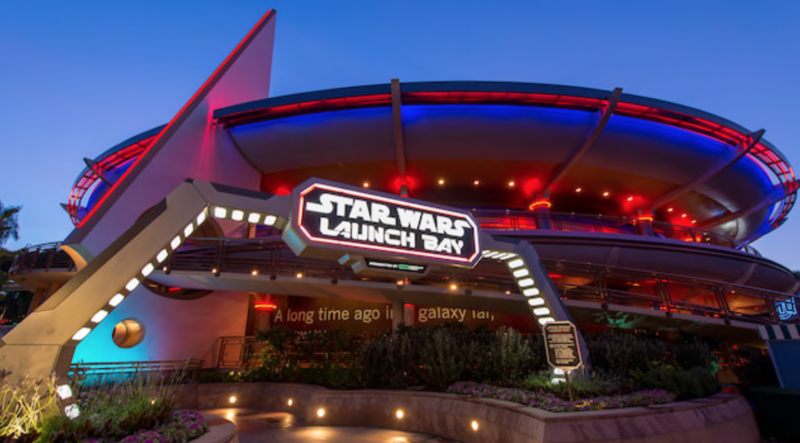 We will enjoy dinner at the Galactic Grill and visit the Star Wars Launch Bay to see fun props from the films. Explore an epic exhibition of themed displays that takes you behind-the-scenes of Rogue One. 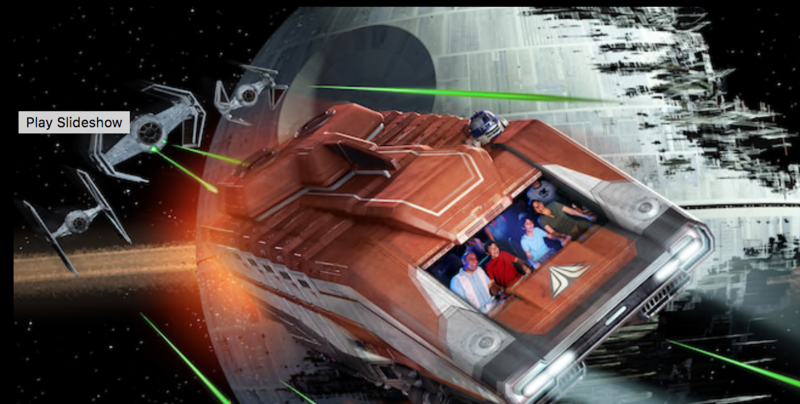 Celebrate everything Star Wars with sights, sounds and surprises sure to delight the most diehard fans! Gallery after carefully curated gallery, Guests will receive an up-close look at actual props borrowed from Lucasfilm as well as authentic replicas created specifically for Star WarsLaunch Bay. Wondering whether there’s a real-life Force? Watch our exclusive documentary on the creative team behind this ever-evolving cultural phenomenon. Wander around a Cantina and other settings inspired by the films, then share a furry embrace with Chewbacca, Han Solo’s trusty sidekick. 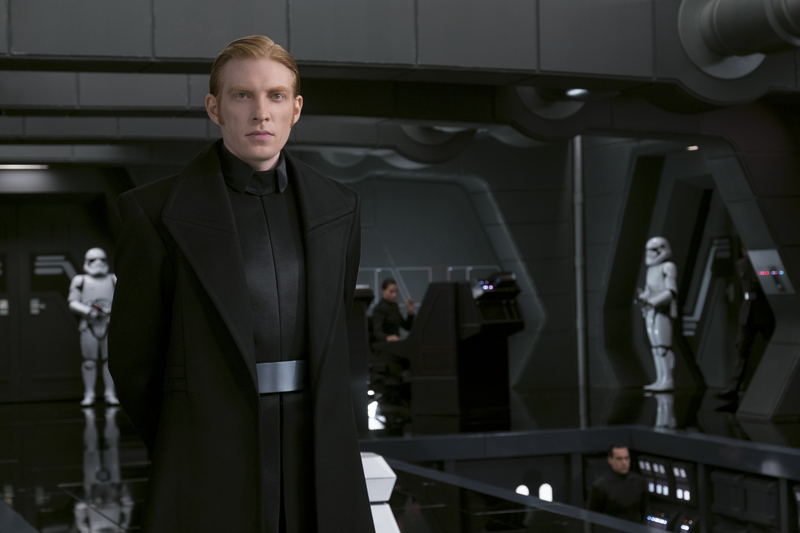 Brave fans may even come face-to-face with the most menacing Sith Lord ever to roam the empire—Darth Vader, or encounter Kylo Ren. Test your skills by playing the latest Star Wars video games… and may the Force be with you! Can you believe part of my job is to ride the rides at Disneyland? We “have to” ride “It’s a Small World” to see all the holiday additions. 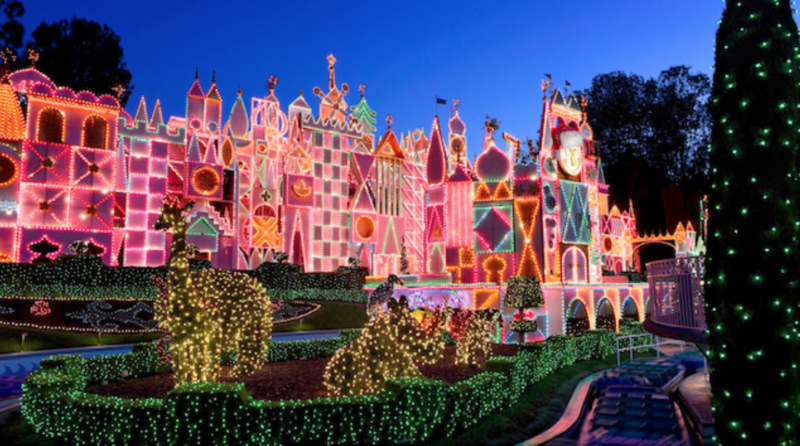 As you approach, you’ll hear a medley of the iconic “it’s a small world” song along with traditional holiday tunes and you’ll be dazzled by thousands of shimmering lights adorning the attraction’s iconic façade. Then, set sail along a wintry, wondrous waterway, adorned in regional decorations as you tour a world of festive wishes and holiday cheer! 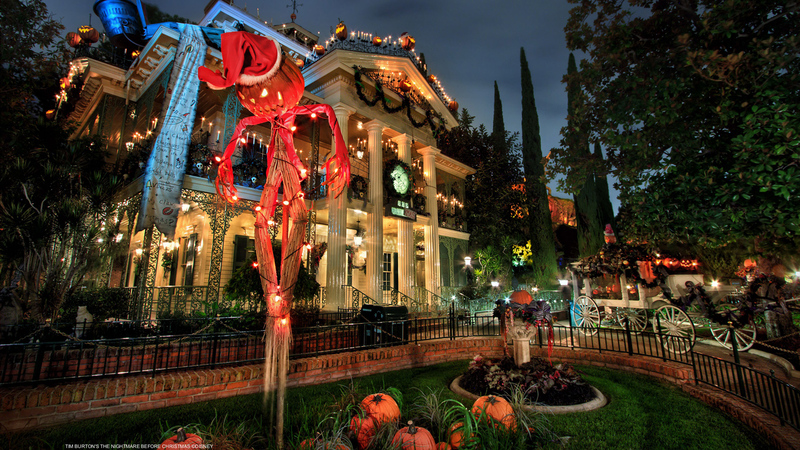 And of course, with the theme of “A Nightmare Before Christmas,” the Haunted Mansion Holiday is on the list as well. Explore the estate at its eeriest with tons of frightfully festive touches—courtesy of Jack Skellington! From September 15, 2017 through early January 2018, the Haunted Mansion will be transformed with jack o’ lanterns and wreaths, terrifying toys and kooky characters from Tim Burton’s The Nightmare Before Christmas. It’s a creep-tastic classic you won’t want to miss! 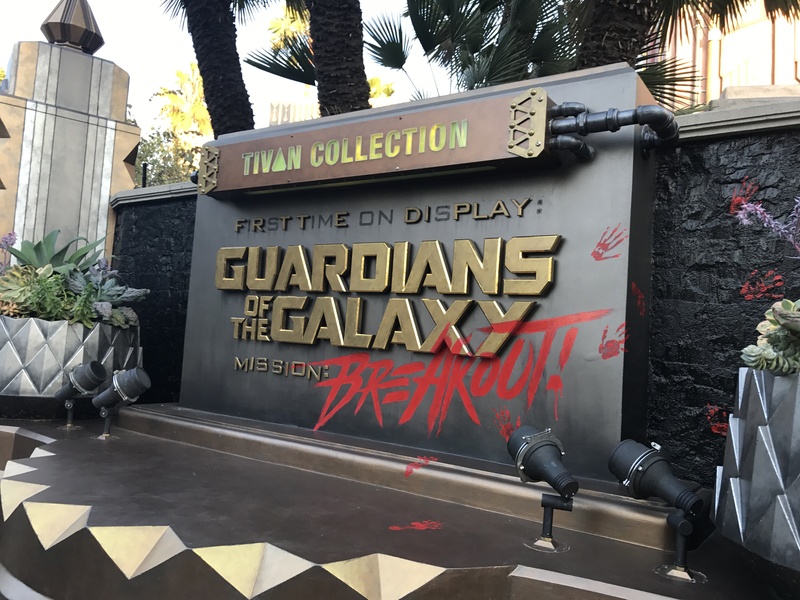 Then we will cross over to Disney California Adventure where we will ride Cars Land Radiator Springs Racers and of course, my favorite new ride at the park, Guardians of the Galaxy – Mission: BREAKOUT! Finishing off the year with a press trip taking me back to Disneyland, well, of course, makes for a special treat. 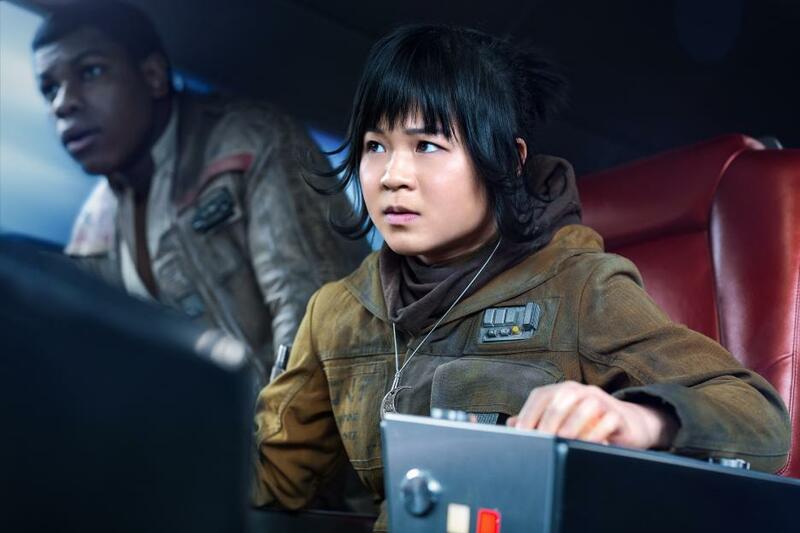 We will start our day attending an all press conference with; Mark Hamill (“Luke Skywalker”), Daisy Ridley (“Rey”), John Boyega (“Finn”), Oscar Isaac (“Poe Dameron”), Adam Driver (“Kylo Ren”), Domhnall Gleeson (“General Hux”), Gwendoline Christie (“Captain Phasma”), Andy Serkis (“Supreme Leader Snoke”), Laura Dern (“Vice Admiral Amilyn Holdo”), Kelly Marie Tran (“Rose Tico”) and Director Rian Johnson. I will be doing a Facebook live from the conference so make sure to be on the lookout for it at around 10 am PST. 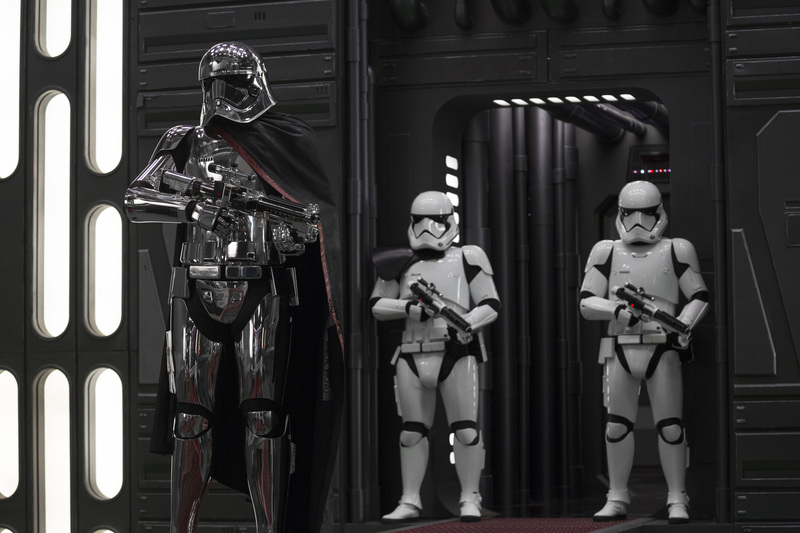 Star Wars: The Last Jedi..Captain Phasma (Gwendoline Christie) and Stormtroopers..Photo: David James..©2017 Lucasfilm Ltd. All Rights Reserved. Star Wars: The Last Jedi..General Hux (Domhnall Gleeson) Photo: David James ©2017 Lucasfilm Ltd. All Rights Reserved. Following the press conference, we will have our smaller, more intimate interviews with Gwendoline Christie (“Captain Phasma”), Kelly Marie Tran (“Rose Tico”), Laura Dern (“Vice Admiral Amilyn Holdo”) and Domhnall Gleeson (“General Hux”). During this time I will be live tweeting and share all I can without any spoilers. The last few times I covered Star Wars press event the fun photo opportunities along with VR experiences, game demos, and the t-shirt making station keeps the afternoon fun and brings out my most inner geek. After all that Star Wars fun we will finish our night with our version of Christmas with friends with dinner. AND there will be a white elephant gift exchange. To end our whirlwind of an event, we will hang out with our friends at ABC for a few hours with a special sneak preview screening of the upcoming mysterious drama, “The Crossing” followed by a Q&A with Executive Producers & Showrunners Dan Dworkin and Jay Beattie. The over lunch we will be watching a special sneak preview screening of ABC’s newest alternative series, “Child Support” followed by a Q&A with host Fred Savage. Once again, a jam-packed few days that only Disney can fill the way they do. 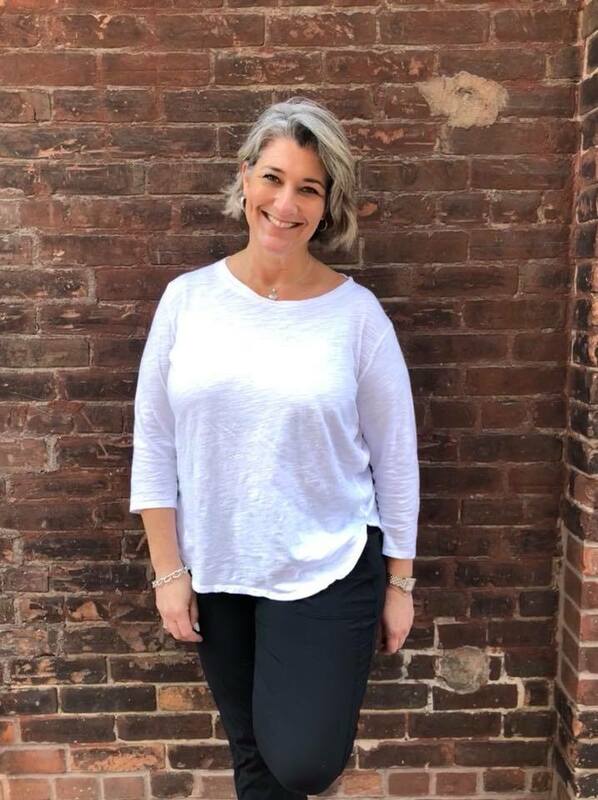 Follow along and ask questions, interact with us! 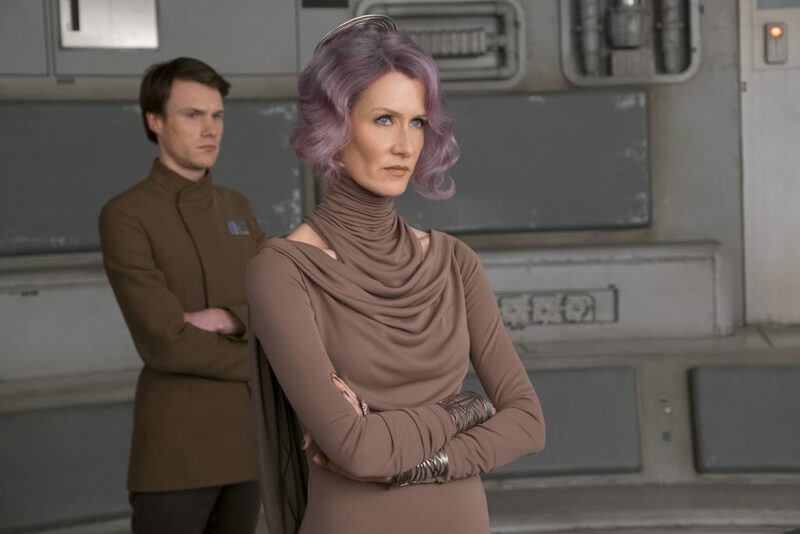 Hey Buddy!, I found this information for you: "Star Wars: The Last Jedi Press Event". 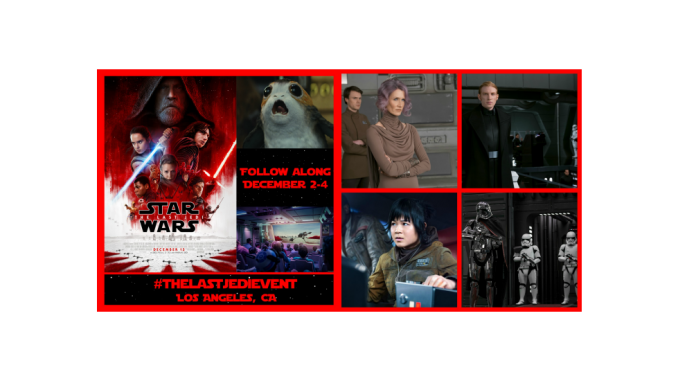 Here is the website link: https://www.trippinwithtara.com/star-wars-the-last-jedi-press-event/. Thank you.